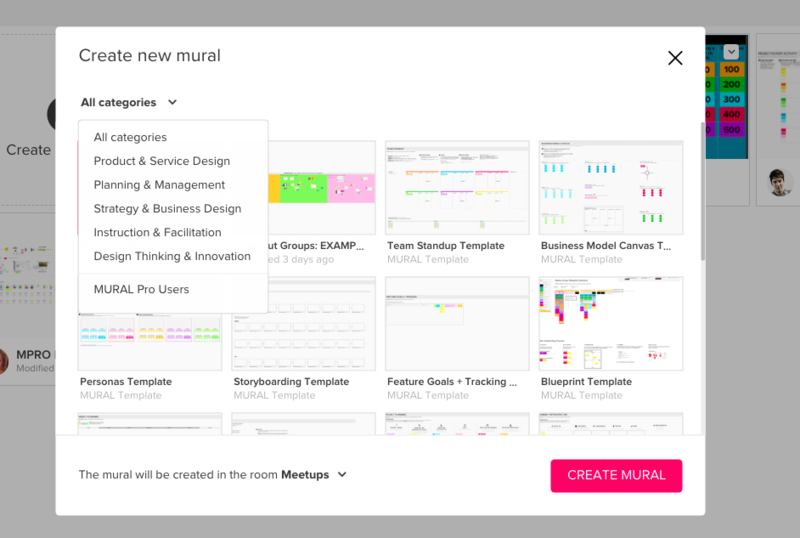 When you’ve designed a series of activities you want to repeat again and again, you can publish that mural as a template. A template acts as a master copy. Anyone who creates a mural from that template will begin with the exact same content. Anyone in your team can create murals from templates. Templates appear in the ‘Templates’ section on the workspace dashboard page. It's just below ‘All murals' in the upper left. Enter the ‘Templates’ section and select 'Create mural from template' from the dropdown menu in top right of the thumbnail of the template you’d like to use. You'll also be able to choose the room in which to create the template. If you’re not sure which template you need, just click on them to open them up. Once you find the template you’re looking for, just click the ‘Create mural from template’ button in the top right corner. If you want to customize a template, you can do so after creating a mural from the template. When you are inside the mural, right click on the elements that you want to edit. Choose 'unlock' in the dropdown, and the element will be available to edit. Once you are happy with your changes you can lock down the elements to the background again by right click on them and select 'lock' in the dropdown. 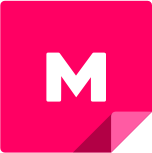 With templates, your whole team will be able to complete the same activities, promoting a structured and consistent process. Feel confident that everyone is starting from the same point. You can also see these templates in action on our blog, at blog.mural.co.